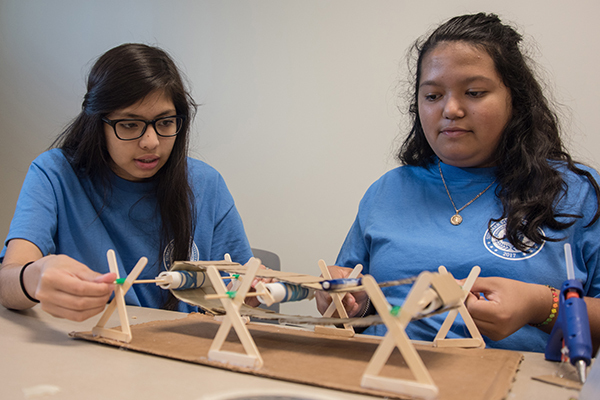 Local ninth graders, Lysha Rodriguez and Lizbeth Martinez, build replicas of a conveyor belt during their study of the progress of technology during UNG's annual Summer Scholars Institute. 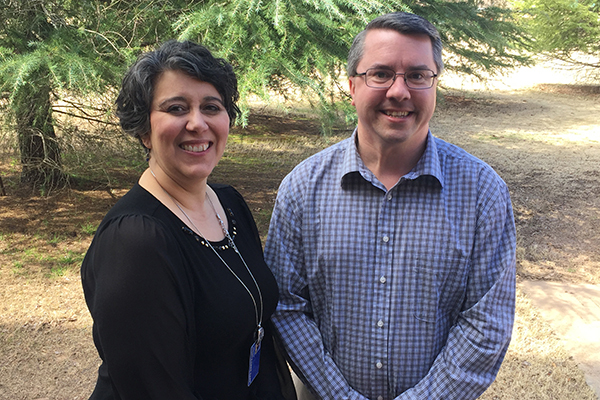 For the third year in a row, the University of North Georgia's (UNG) Summer Scholars Institute (SSI) has been awarded $15,000 by the Jackson Electric Membership Corp. Foundation. 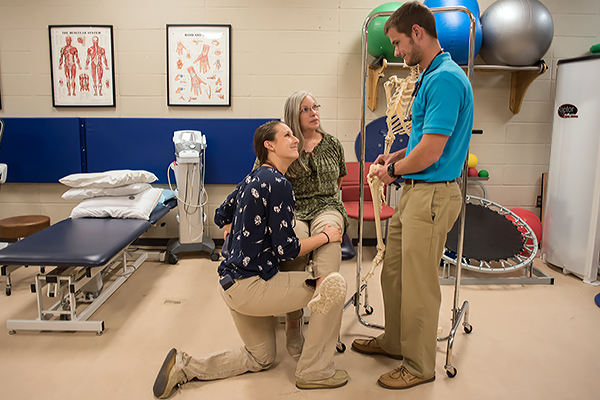 SSI is an intensive, four-week summer program held at UNG's Gainesville campus from June 5-28 for rising eighth-, ninth- and 10th-grade students. The program targets promising students from under-represented populations such as potential first-generation college students, English-language learners, and those from lower economic backgrounds. 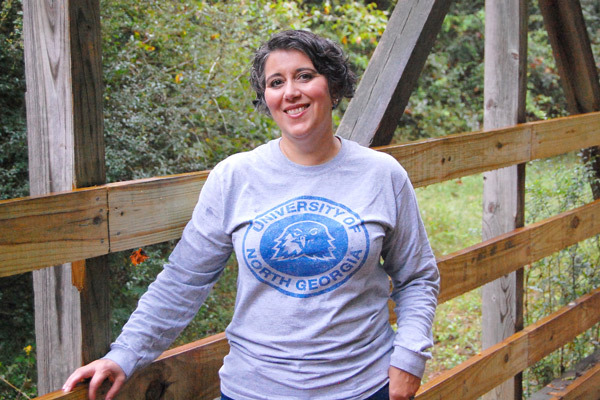 During SSI, the scholars take subject-related field trips to places such as the Elachee Nature Center for the Lake Lanier Aquatic Studies Program. During field trips, students receive hands-on instruction that helps them grasp difficult academic concepts. 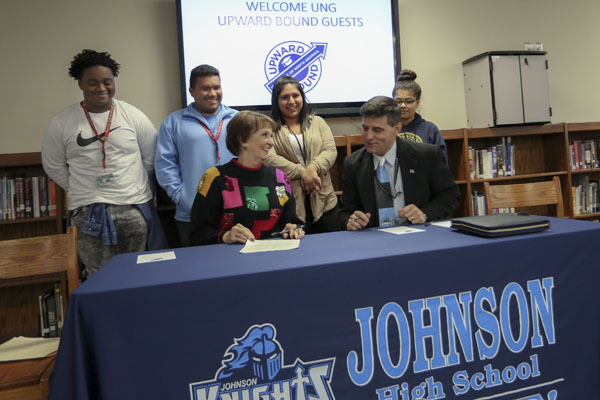 "By giving students this opportunity, we are able to help prepare them for the demands of college and adult life," said Dr. Harriet Allison, director of Summer Scholars and the English as a second language (ESL) program at UNG. The program is offered each summer and presents school subjects in two main units: one in science, technology, engineering and mathematics (STEM), and a second that focuses on social studies and language arts. The lessons and activities in both subject areas are designed to help students understand the importance of the concepts and content they are learning in their everyday lives and future careers. Goals of the program include increasing retention and preventing dropouts; improving academic skills; promoting interest and strength in language arts, math, and science; providing knowledge for exploring career options; increasing college awareness; exposure to positive role models and recreational and cultural activities; and encouraging parental involvement. "Most of these students have tremendous challenges to overcome in pursuit of their education, so the fact that they are participating in Summer Scholars means they have a special drive in them," Allison said. "We are thankful to have received the support from this grant to the outstanding students who deserve this opportunity."